The increasing cybercrimes and intrusions into the personal or business data has led most of the users to use applications that can protect them from such dangers. OnionFruit Connect is one such application, which can provide you with various features and benefits. It is designed to help you provide access to Tor network. The interface of this application is easy and straightforward. You need to click a single button to make your online identity anonymous. Additionally, you can have an overview of your anonymity status all the time from the main window. You can easily keep this application in the tray and use it whenever required. Such a feature reduces the chances of any problems in dealing with the other operations of your computer. The encryption of data is not only valid for the browser but all the applications on the device can have a secured connection, and the chances of a data breach will be minimal. 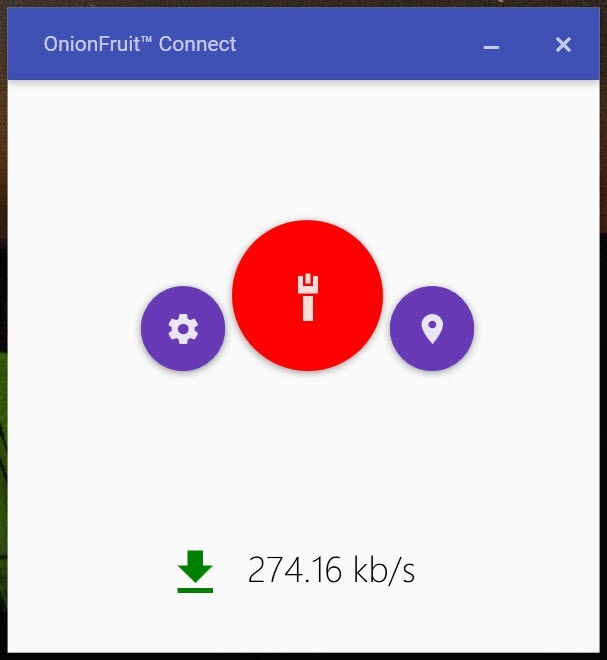 OnionFruit Connect is a comprehensive utility which works on data encryption in the browser as well as the other online applications operating on your computer.